The coastal resorts at Minehead, Weston-super-Mare and Clevedon make for a great bucket and spade holiday whilst the historic towns of Taunton and Yeovil and the many rural villages provide accommodation of quality that is comfortable, interesting and great value. Somerset's interior hosts a National Park and three Areas of Outstanding Natural Beauty. The Levels and Moors are a rural idyll, where traditional crafts and local ciders still epitomize West Country life. Its patchwork of historic towns and unadulterated villages provide a diverse selection of places to stay in Somerset, all in beautiful settings. Wander around the beautiful city of Bath taking in the gorgeous architecture and visiting splendid sights such as the Roman Baths. Hike all over Exmoor National Park to revel in the area's stunning natural beauty. Forget about all your worries as you head off on long reinvigorating hikes, whilst a visit to Dunster Castle is a must. If you're into archaeology and history then be sure to visit the Wookey Hole Caves, demonstrating evidence of human activity from 60,000 years ago! Whether you're religious or not, the gothic 12th-century Wells Cathedral is an absolutely breathtaking building. 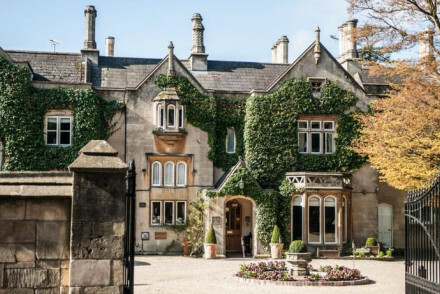 For our list of the best places to stay in Somerset we have selected a wide choice from the ever growing range of stylish pubs with rooms to smart and cool country house hotels, favourite hang-outs of townies looking for a spot of "rural" escape. The Talbot Inn in Mells, a sister pub to the popular Beckford Arms in Wiltshire, is run with all the style, comfort and great food that has made the Beckford Arms so popular. Modern but rural with natural materials and soothing homely fabrics setting off the clean white walls and wood and stone floors. Being at the Talbot is like staying with your fun-est grooviest, most hospitable country cousin. Food is local, expertly prepared and imaginative. 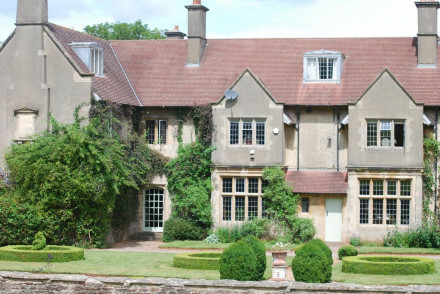 Stoberry House is the ideal weekend escape, combining superb location and style. This B&B is just a short walk away from Wells whilst both Bath and Salisbury are also within easy access. Enjoy high tea in the charming garden and bespoke dinner menus can even be arranged! There are a number of fantastic walking trails surrounding the property. When talking about Somerset's rural hotspots, you'd be amiss not to mention The Pig Near Bath. This Grade II listed building exudes character and offers chic, spacious accommodation furnished in a boutique manner. Tuck into terrific meals at the restaurant who source all food from within a 25 mile radius of the property! A superb country escape. Of a similar ilk (if slightly more opulent), the 15th-century manor house Langford Fivehead blends original interior features with slightly more contemporary boutique furnishings. Meals at the Langford Restaurant are produced depending on what's fresh that day thereby creating a daily changing menu, with much of the fruit and veg even grown on site. Enjoy games of croquet on the lawns with a glass of Pimms in hand - what could be more British than that? The Kennard This smart Georgian townhouse evokes the memories of bygone years with its ornate furnishings and elegant garden. Just minutes from the city’s sights, it’s the perfect option for those looking to see all that Bath has to offer - whilst the quiet atmosphere and splendour of its interiors create a wonderfully romantic setting. Harrington’s Hotel boasts a central location, free parking (a few minutes away), family rooms and self-catering apartments across the road - what more could you ask for? Whilst there may be no restaurant, given its location this isn’t an issue-and it’ll even force you to try out a variety of Bath’s eateries! 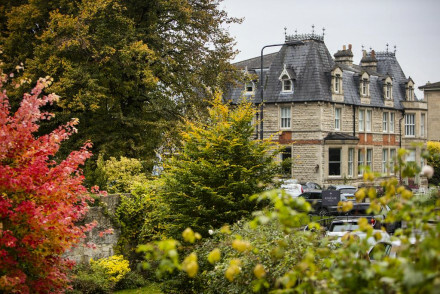 Harrington’s may not be Bath’s most elegant hotel but with a hot tub available to rent and great value accommodation, it’s certainly one of the best all-round choices. The Queensberry - this chic townhouse on Georgian Terrace is the ideal spot for those wanting a touch of style but without breaking the bank. The rooms are spacious and comfortable, if perhaps lacking a touch of opulence found in other nearby choices. 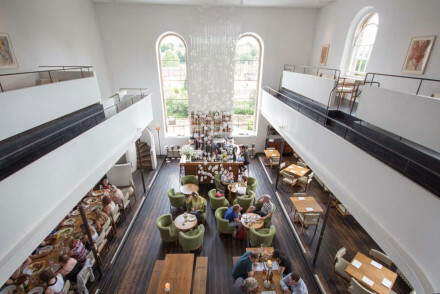 The bar is a splendid place to relax with a drink and get to know your fellow visitors, whilst their 3 AA Rosette Olive Tree restaurant is worth the money alone! The Halcyon Hotel Apartments If you’re on a family or group trip, this is the spot for you! 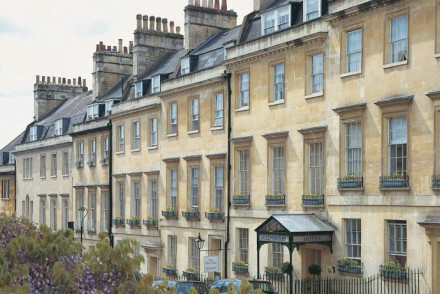 The Halcyon offers smart apartments in the city centre-just a stone’s throw from most of Bath’s attractions. The spacious apartments are decorated in a smart and contemporary style, well lit and with every convenience covered. Unwind in the basement’s Circo bar after a day out exploring the area. There’s definitely a fun and lively feel to the place! 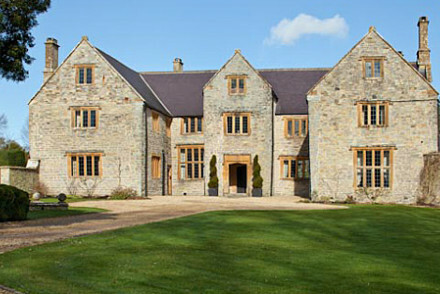 Bath Priory - This stunning Georgian manor boasts lavish interiors mimicking the classic English country-house style. Wander around their 4 acre landscaped garden, make use of the indoor or outdoor pools and be sure to give their Michelin starred restaurant a visit. Simply divine-you’ll have a hard time not enjoying your stay at this wonderfully romantic spot. The Royal Crescent - Set in two houses centrally located along Bath’s famous Royal Crescent Street, this upmarket choice features four-poster beds, marble bathrooms and an array of antiques. 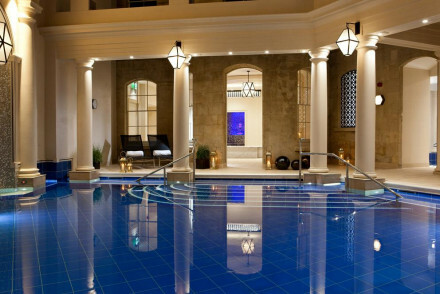 Head off exploring around town or wander through the garden, whilst a visit to their state of the art spa facilities is a must if you feel like a spot of rejuvenation! Tasburgh House - If you fancy something a little more secluded then this is the place for you. Situated a short distance outside the centre of town and surrounded by 7 acres of garden, this spot provides smart and unfussy accommodation at a decent price. Head off on any number of walks around the area or enjoy a round of golf nearby. 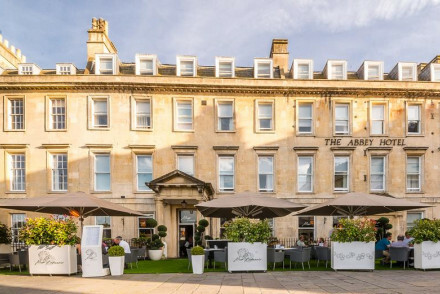 MacDonald Bath Spa Hotel - This 5* Georgian mansion is a stunning stay complete with original interiors, elegant furnishings and a top of the range spa to boot. Wander into town in just ten minutes but, with such great service on your doorstep, you could be forgiven for spending your day at the hotel! Splendid food served up at the restaurant. A real blast from the past. 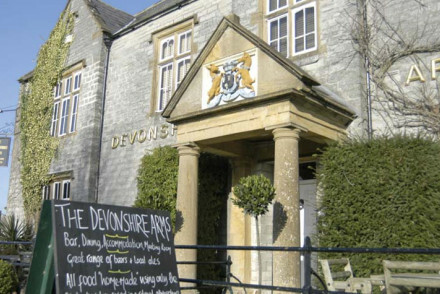 The intimate Devonshire Arms is a typical example of the new 'pub with rooms' style of accommodation. This former hunting lodge features a typical quiet country pub downstairs with their restaurant serving up wonderful nosh, and the surrounding area is filled with a wide variety of splendid walking trails. Its quiet atmosphere, friendly feel aand surrounding area make it a lovely choice for a romantic getaway. The quaint market town of Frome exudes charm and character without the pretention of Bath. 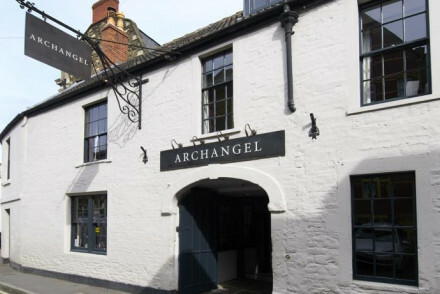 Nestled away in this upcoming spot is Archangel, a restaurant with rooms that's ideal for a couples trip. The accommodation boldly fuses original architecture with contemporary furnishings and there's colourful artwork adorning the walls. Curl up with a good book in the well-stocked library, whilst gourmet meals at the restaurant are an absolute must! Cross Lane House provides the ultimate romantic B&B getaway, offering homely and chic accommodation in an utterly charming setting. 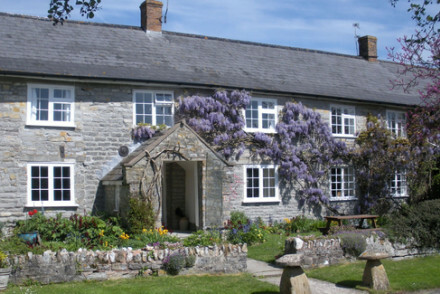 This quintessentially English spot is located in the midst of Exmoor National Park so there's no excuse not to spend your days heading off on long walks around the area! Enjoy scrumptious meals made using locally sourced produce and their spacious, smartly decorated rooms are perfect for any couple's trip. Elegance without opulence, the Georgian Little Barwick House is yet another lovely restaurant (3 AA Rosettes) with rooms, just outside Yeovil. The property offers charming but unfussy accommodation amid a beautifully tended three-acre garden, and there are numerous activities and sights close by. With a Double Gold Award from the 2014 Taste of the West Awards, their food’s not to be scoffed at - rather, it’s to be scoffed down! 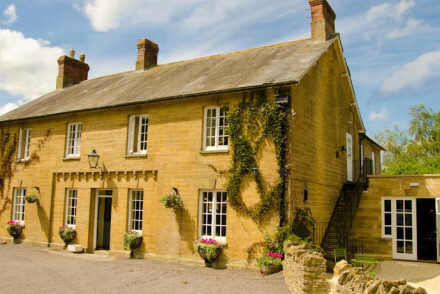 The Queen’s Arms is a delightful traditional inn located in the village of Corton Denham. Its smart interiors, roaring fire and deep sofas give it a homely feel and, what with such gorgeous surroundings, you’d be amiss not to head off on long romantic walks of the area. Dogs are welcome in the bar and there’s even a room for them to stay in overnight. Bold British dishes are served up at the restaurant whilst there are even tennis courts available to help you work off some of the food! A top rural spot. 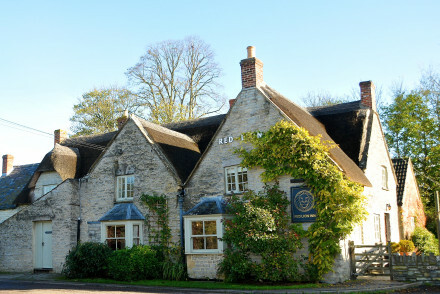 The Red Lion Inn provides six tasteful and inexpensive rooms in a traditional thatched-roof country pub setting. The restaurant serves up award-winning food using local ingredients to produce a daily changing menu. What's more, given it's location just 5 minutes off the A303 it's an ideal stopover spot! The Old Priory is a quaint and historic 12th-century building in the market town of Midsomer Norton. 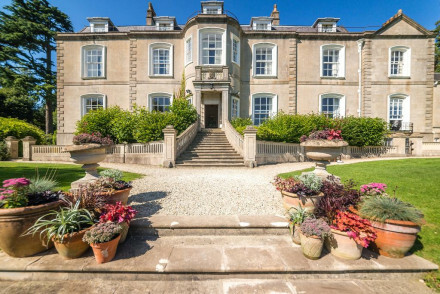 This utterly charming retreat features original interior features, lovely walled gardens and there are a variety of National Trust sites nearby. Class without excessive cost-a great choice for a weekend trip to the countryside. Grays is stylish yet unpretentious, situated in a quiet residential spot yet close enough to all that the city centre has to offer. This lovely stay offers extremely chic, spacious and well-lit accommodation as well as having a no children under the age of 12 policy (to ensure a bit of peace and quiet!) Traditional British breakfasts served up in the morning to set you up for the day. 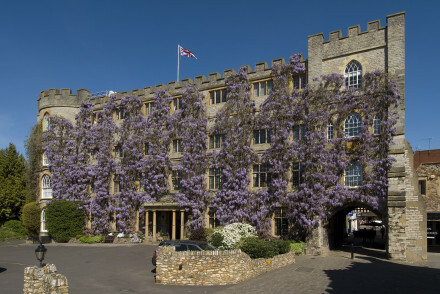 There’s nothing more luxurious than staying in a castle, and that’s exactly what you’ll get at The Castle Hotel! This Norman Fortress in the centre of Taunton is utterly charming with its exterior covered in beautiful creeper and an impressive stone staircase leading up to the rooms. Head off to Exmoor National Park and spend your day hiking before returning to tuck into terrific grub and relax by the fire! A splendid experience. The 5* Babington House exudes class, offering guests stunning individually decorated accommodation complete with elegant furnishings. Their Cowshed spa provides top of the range treatments to help you fully unwind and with a gym, tennis courts and cricket pitch there’s something for everyone to stay active! Stunning dishes are created using produce grown in the walled garden to serve up British classics with Mediterranean influences. This rural oasis is an absolute treat. 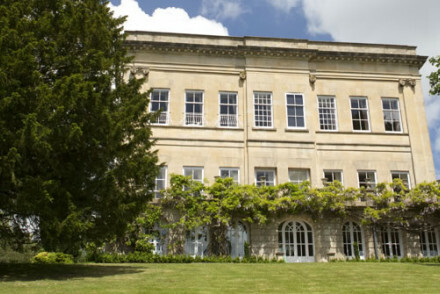 Elegantly furnished accommodation, 18th century style interiors and a beautifully maintained garden make The Kennard one of Bath’s most graceful and timeless spots. 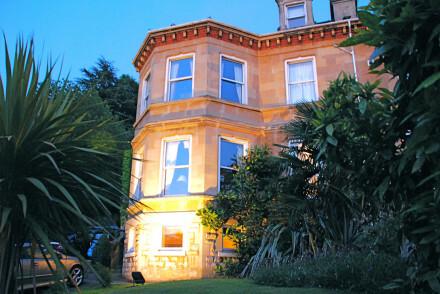 With oodles of class and a splendid location, you really can’t go wrong staying here! Prefer a cottage or an apartment? If you've decided that you'd prefer to book a cottage or apartment, we recommend you visit our online booking partner, booking.com, where you'll find a wide range from budget to boutique. Bristol Airport is the region's largest, however Exeter Airport and Bournemouth Airport are also viable options. With a fairly temperate climate year-round, there's never a bad time to visit Somerset! It's hottest however in the summer months with there being an average temperature of 22°C. Still not sure what to book? Contact a friendly guru for advice. Charming boutique hotel. 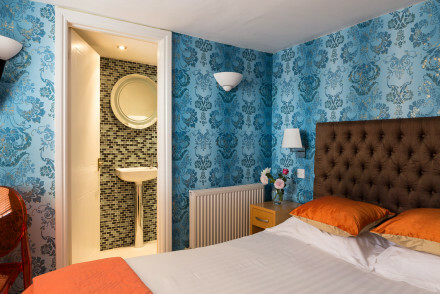 Quirky rooms sit within the Grade II listed building and cozy outhouses. Restaurant and kitchen garden, extensive spa, stunning grounds. Country walks and sights nearby make it the perfect romantic getaway. Hotel Entertainment - *Smoked and Uncut Festival* - Sat the 15th of June - The Kaiser Chiefs & more. Fabulous Chef prepared feasts. Glamping on site. 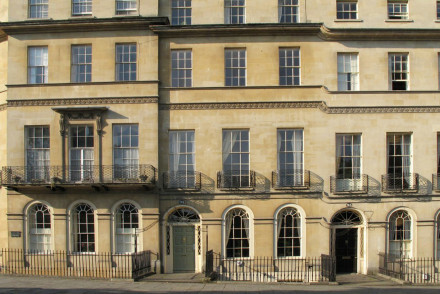 A trendy hotel comprising three Georgian terraced houses in the centre of Bath. Individually styled, bright rooms feature large headboards, bold colours and are fitted with i pads and high quality radios. Complete with a fantastic restaurant filled with art and an atmospheric bar. Local exploring - An art-filled hotel right in the heart of the city within walking distance of many major sites. Sights nearby - Visit the city's famed Roman Baths just a short walk from the hotel. 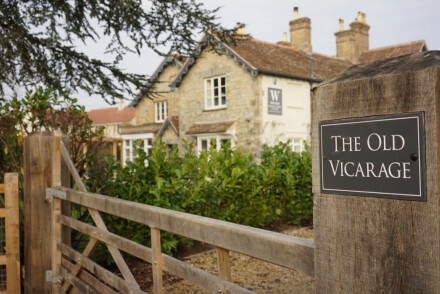 A charming gastro pub with impeccably decorated rooms and fantastic food. Rooms and one suite attractively furnished with lots of natural light and luxurious bedding. Lovely dining area and bar, big garden, lots to do in the surrounds. Ideal for couples or families. Sights nearby - Glastonbury Abbey. 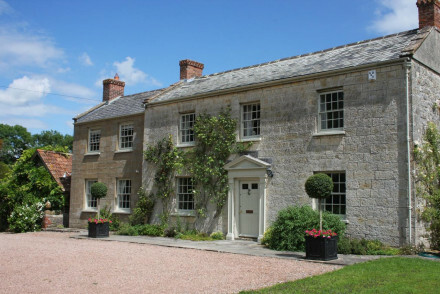 Just a couple of miles from Taunton, Langaller Manor House is a lovely B&B. 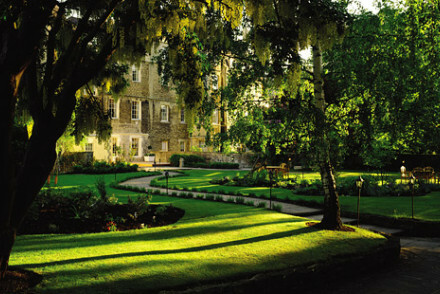 Featuring spacious, comfortable rooms and extensive gardens, it's a great base from which to explore Somerset. For a gourmet experience, book the B&B's chef for a private dining session. Sights nearby - Take a trip into Tauton and explore the charming riverside town. 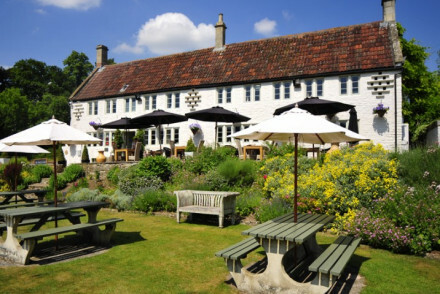 Found in the picturesque Somerset village of Dunster, the Luttrell Arms is a superb hotel. Elegant and effortless, the hotel offers delightful rooms, an atmospheric bar and an excellent restaurant. Surrounded by the beauty of Exmoor National Park, it's a great option for a weekend escape. Great walks - Surrounding Exmoor is full of wonderful walking routes. Surfing - There are some great surf spots along the Exmoor coast. Sights nearby - Ten minutes walk from Dunster Castle. This six bed property is tucked away in a quiet residential nook, yet walking distance from Bath centre. 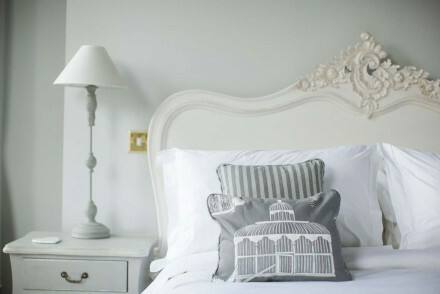 Rooms are decorated in a French country style with white linens and pastel throws. There is a sunny courtyard and cosy living room to relax. A full organic breakfast awaits you each morning. 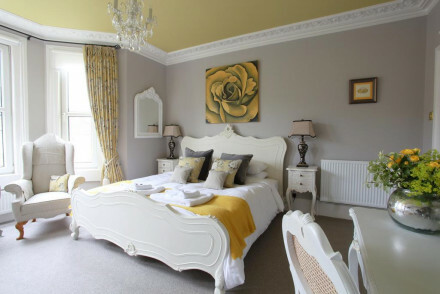 This luxurious boutique bed and breakfast is in a rural setting yet just a walk from the historic city of Wells. Traditional decor features sumptuous fabrics and antique furnishings. The property offers up delicious breakfasts, indulgent afternoon teas and bespoke dinners on request. 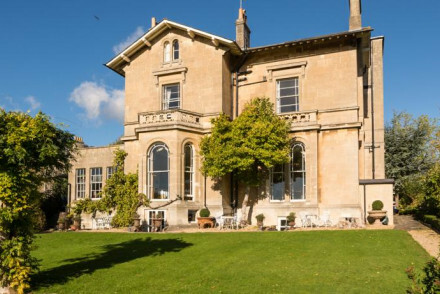 A Victorian house set in 7 acres of stunningly beautiful countryside close to the city of Bath. The interior is elegantly designed with well chosen wallpapers and fabrics. Breakfasts include local produce. An idyllic spot for exploring the city and its surrounding area. A gourmet little pub in a charming village with gorgeous rooms. Luxurious rooms have enormous stand alone bath tubs, contemporary furnishings and DVD players. Fabulous restaurant and acclaimed chef. The perfect spot for a romantic jaunt in the Somerset countryside. Foodies - Fantastic food from River Cottage's Tom Blake. Sights nearby - The medieval cathedral in Wells. Great walks - Mendip Hills to the north. A quaint country house set in a picturesque hamlet in North Somerset. Traditionally dressed rooms are light and airy with soft hues, light wooden furniture and beamed ceilings. A quiet spot to unwind with the option of stunning walks and the historic city of Bath nearby. Country Escape - A charming property located in a quaint hamlet in an Area of Outstanding Natural Beauty. Great walks - Find miles of scenic walking trails starting from the hotel. Sights nearby - Visit the famed Roman Baths in the city of Bath. Traditional thatched country pub in the heart of Somerset. Six individually designed rooms with super comfy beds, smart linen and toiletries. Award winning food with daily changing menus. Great location for exploring the area and just 50 mins from Bath. Perfect for a country escape. Sights nearby - Great base for exploring the surrounds including Glastonbury Tor and Lytes Cary Manor. Only 50 mins from Bath. There's a distinct homely feel to Witheridge Farm. Hidden away in the Exmoor National Park, the farm offers comfortable rooms and a remote rural setting that's perfect for a weekend getaway. 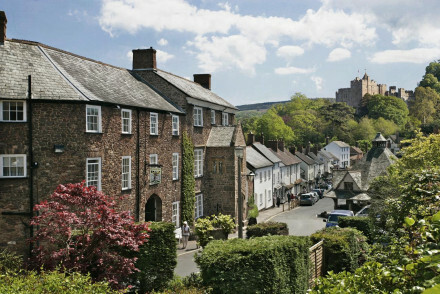 Sights nearby - History enthusiasts will enjoy visiting nearby Dunster Castle. Great walks - The surrounding area is full of fantastic walking routes. Located in the tiny village of Hatch Beauchamp, The Hatch Inn is a charming, family-run B&B. Featuring smart, comfortable rooms and an atmospheric bar with delicious pub grub. It's a great base for exploring Somerset. Great walks - The nearby Blackdown Hills are full of beautiful walking routes. Sights nearby - Take a day trip to explore Taunton. 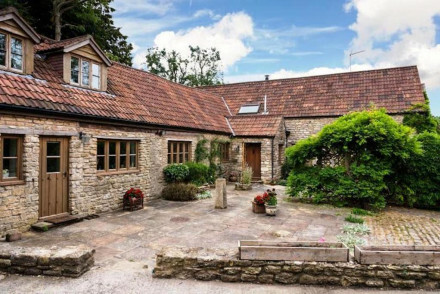 Homely and cosy, Brook Farm is a delightful B&B in the Somerset countryside. Welcoming hosts, lovely rooms and beautiful surrounding gardens makes it a great spot for some rural relaxation. Great walks - Beautiful walking routes in the surrounding Quantock Hills and Somerset Levels. Sights nearby - Take a day trip to the stunning Wells Cathedral. Three quaint rooms set in a converted barn on a picturesque farm in the heart of Exmoor National Park. 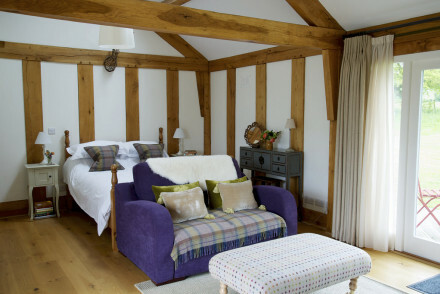 Traditionally dressed accommodation features beamed ceilings, simple pine furniture and large barn windows. The warm hosts, delicious breakfasts and spectacular location make this a special stay. 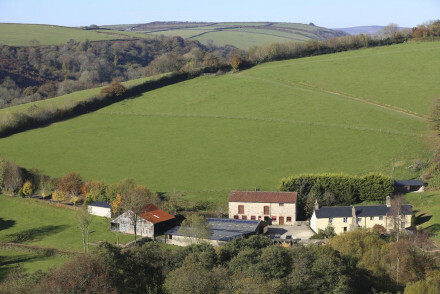 Country Escape - Boasting a secluded spot in beautiful Exmoor, surrounded by fabulous walking country. Great walks - The hosts provide details of fantastic walks starting from the property. Sights nearby - Explore the ruins of Middle Burrow's Norman castle. 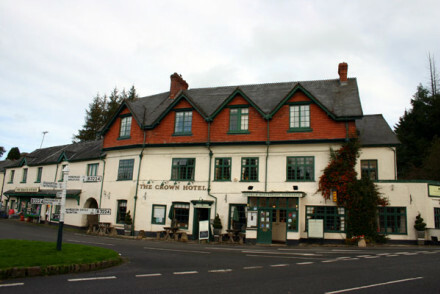 A recently renovated Inn now in the very capable hands of the team at The Pump House and The Bird in Hand. Simply dressed rooms keep the charm of the original building yet the decoration is clean and unfussy. However, the welcoming bar and restaurant are the real stars of the show. Country Escape - A cosy inn located in the heart of Somerset complete with roaring fires, excellent food and some of the region's best cider. Sights nearby - Spend the day in nearby Bath and discover the historc Roman Baths. Great walks - Take long walks through the stunning Mendips. 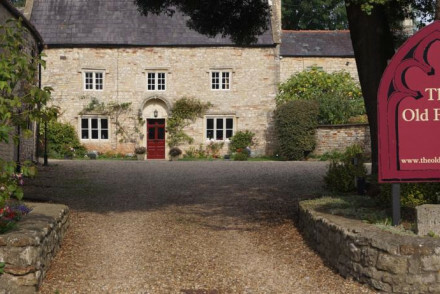 Enveloped in Somerset's finest countryside lies this Jacobean property dating back to 1436. Rooms are decorated with antique furniture in creams and pastel hues. 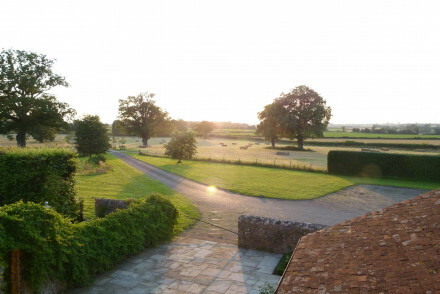 There are 130 acres of farmland to explore in summer months and a log fire for the winters. A full English breakfast is served daily. 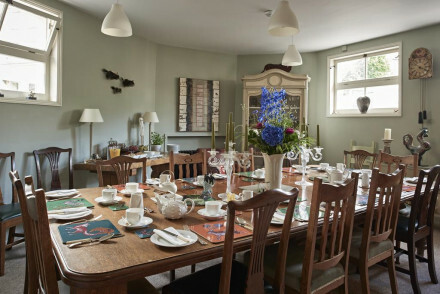 Cooking classes - At "The Canteen"
12th Century house turned cosy B&B is one of the oldest properties in Somerset let alone the quaint village of Midsomer Norton. Six charming bedrooms are comfortable and exude the dated charm. Enjoy breakfast in the garden or in your room, before exploring the local area. Groups - Can be privately hired for special events such as hen parties and family gatherings. Great walks - Wonderful walking all around this area, ask your hosts for a few pointers. Sights nearby - Head to the nearby National Trust Stourhead House and Gardens. Newly renovated historic property on the outskirts of town. Set amid 20 acres of private gardens, Bailbrook House enjoys great views over both city and surrounding countryside. Ideal for both leisure and business travellers. Charming village pub run by a proven team. Friendly local feel backed up by excellent food for all ages. 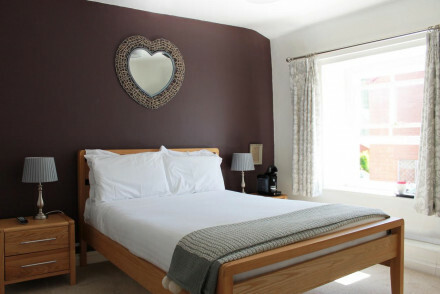 Bedrooms are country style with egyptian cotton and siberian goose down duvets. Chillax. 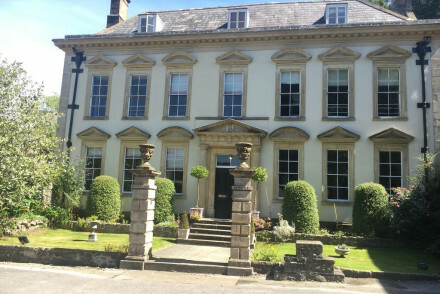 An impressive Grade II listed Georgian house set in the pretty town of Shepton Mallet. Elegant rooms are traditionally dressed with warm hues, antique furniture and softly patterned fabrics. Downstairs are cosy fire lit lounges and an atmospheric bar. A quintessentially British stay. 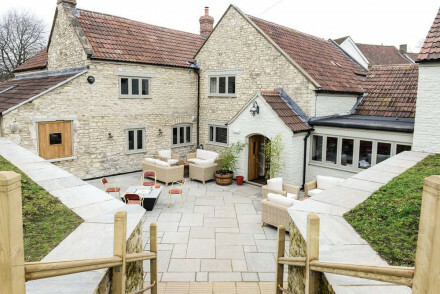 Local exploring - Located in a picturesque town with easy access to Bath, Wells and the surrounding countryside. Great walks - Find miles of beautiful walking trails starting from just outside the town. Sights nearby - Make an outing to Wells and marvel at its majestic cathedral. 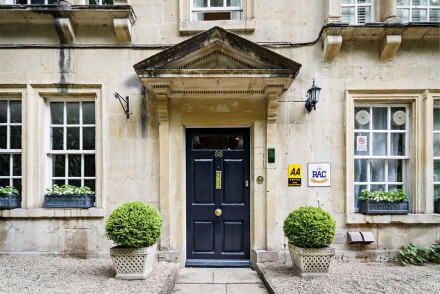 A smart hotel in a quiet spot near Bath's city centre. Simply designed rooms are clean, contemporary and spacious. The enormous windows offer plenty of light alongside fabulous city views. Indulgent breakfasts are served in the elegant dining room. An easy option for city breaks. Local exploring - A smart B&B well located within Bath with most sites within walking distance from the property. Great walks - Head out of the city and explore the hills and forests of Somerset. Sights nearby - Take a tour of Bath's most famed site, the Roman Baths. 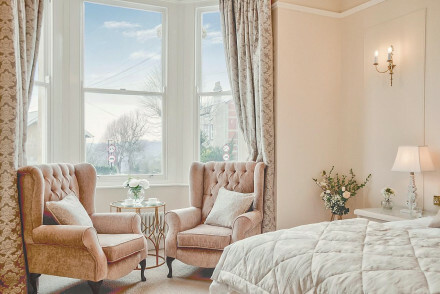 This stylish B&B set in an Edwardian building exudes a timeless glamour with high ceilings, classically elegant furniture and grand comfy sofas. Luxurious rooms feature a soft palette of cream hues and plush furnishings, not to mention indulgent marble bathrooms. Delicious breakfasts are a treat! Chic townhouse hotel on Georgian terrace, Bath. The spacious rooms, are wonderfully comfortable and boast every modern convenience. The historic architecture lends a certain glamour to the building, with original sash windows, grand staircases and cosy drawing rooms. A stylish choice. Foodies - The Queensberry's restaurant The Olive Tree has been awarded one Michelin Star. 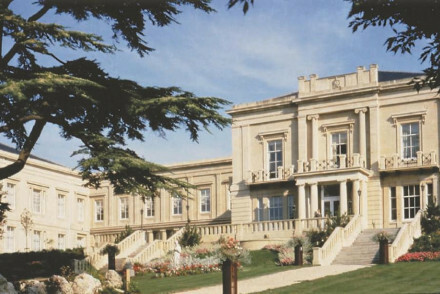 Sights nearby - Opposite the Pump Rooms and just down the road from the historic and elegant Bath Assembly Rooms. Great walks - Take a lakeside walk in Bath Spa University’s Newton Park campus. Come here for a weekend away that’s like visiting old friends. 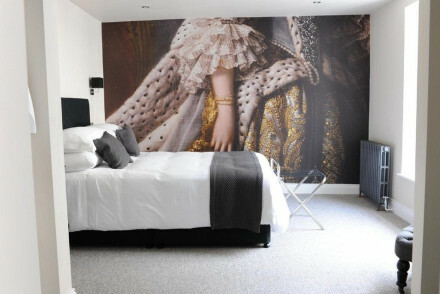 Styled as a contemporary classic, this B&B just outside the city centre is a sure-fire crowd pleaser. It’s super comfortable with great views and a British feel. 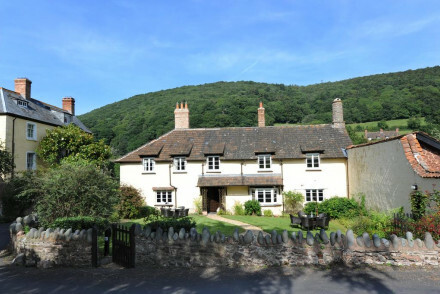 This 17th century former coaching inn is ideally situated for the rugged terrain of Exmoor. The surprisingly grand rooms are decorated with antique pieces like Empire style armchairs, dark woods and ornate fabrics. 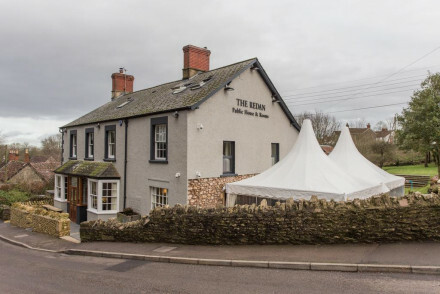 The restaurant, serving real ales and traditional pub grub is one of the highlights. Great walks - Exmoor has some of the most beautiful moorlands in the country, the UK's highest cliffs and rugged coastlines - take your pick! 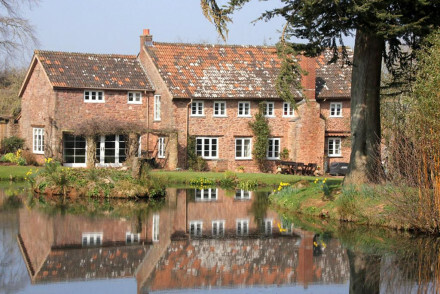 Fishing - Hidden amongst this property's 3 acre grounds is a trout stream. 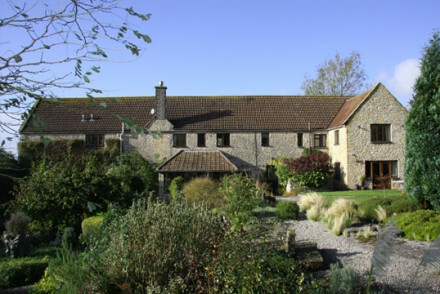 Delightful B&B in the Somerset countryside near Glastonbury. The Keepers Cottage offers charming rooms, a lovely garden and occasional evening supper clubs. Great hosts are always on hand to give you local insight or point you in the direction of a great walking trail. Great walks - The surrounding countryside is full of wonderful walking routes, especially around Glastonbury Tor. Birdwatching - Nearby RSPB Ham Wall & Shapwick Heath reserve is one of the top viewing spots in the UK. Sights nearby - Take a trip to Wells with its beautiful cathedral. This chocolate box property, a collection of converted miner's cottages is located down a quiet lane in the Somerset village of Stanton Wick. Rooms are decorated in a neutral decor with cream walls and earthy fabrics. There is a restaurant with a courtyard garden serving unfussy food and real ales. Sights nearby - The Wookey Hole Caves and Wells Cathedral are a short drive away. Fishing - Go fly fishing on the Chew Lakes. 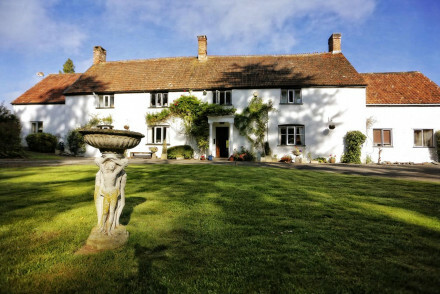 Located a short distance outside Wells, Beryl Country House enjoys a peaceful rural setting. This luxury B&B boasts traditional accommodation in the classic country house style, plus cosy communal areas with roaring fireplaces. Delicious aga-cooked breakfasts. An idyllic couples retreat! Superb pub/hotel in the docile Somerset village of Litton. Featuring an excellent restaurant, plush rooms and a historic whisky bar. It's the perfect spot for a relaxing rural retreat. Sights nearby - Visit nearby sites such as Wells Cathedral and Priston Mill. Great walks - Beautiful walking routes in the surrounding Mendip Hills. A charming owner managed property set in mature gardens. The two rooms are contemporary in style with steel grey walls, crisp white linen, sink-into beds and smart modern bathrooms. Expect indulgent breakfasts and a very warm welcome. Country Escape - An eco house in a pretty village. Ideal for tranquil getaways. Sights nearby - Take a tour of the stately Tyntesfield National Trust property. Great walks - Take long walks along the stunning coastal path. 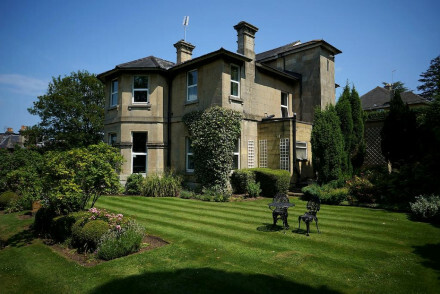 A 140-year old Victorian villa set in lovely gardens, a mile from the centre of Bath. It offers ten elegant rooms individually decorated in light hues and antique furnishings. Be sure to start the day off with a superb full English breakfast! A truly classy stay. Sights nearby - The famous Roman Baths are a 15 minute walk away and definitely worth a visit! Located in a quiet corner of town, yet just ten minutes walk from the city centre. Decorated with an eclectic array of Asian antiques from the owner's travels. 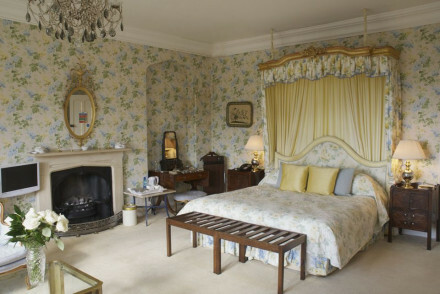 Rooms are decorated in neutral colours, some with four-poster beds, claw-foot baths and power showers. Plus a tranquil garden to enjoy. Great walks - Meander along the Royal Crescent or the Avon canal. Further afield there are plenty of rural walking trails. Sights nearby - The picturesque Westonbirt, Stourhead and Dyrham Park are all close by. Restrictions on children - Children are not permitted at this hotel. 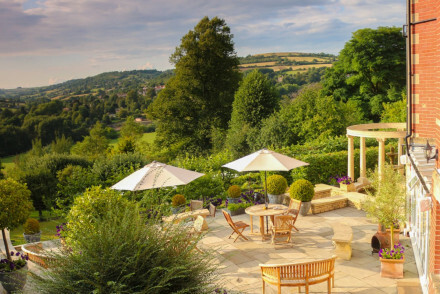 An elegant Georgian house boasting glorious views across scenic Bath. Grand rooms are individually styled, the best have four posters draped in softly patterned fabrics. Full English breakfasts are served using local organic produce. A smart base to explore the city. Local exploring - Ideally located to access Bath's main attractions as well as escape out to the countryside. Sights nearby - The Roman Baths, a World Heritage Site, is a must visit. A smart and cosy hotel in a historic Bath townhouse with original period features such as high ceilings, fireplaces and cornicing. Guests will love the fresh and light rooms featuring quality linens, pretty upholstery and classic furniture. The seasonal gourmet cuisine is a real highlight. This former parish dating back to 1740 provides a secluded country haven just 15 minutes drive from bath. All three rooms are decorated in classic country style with antique pieces. There is a charming dining room overlooking the mature gardens. A full English Breakfast is served every morning. Sights nearby - Visit the famous Royal Crescent and pop in to the museum at Number 1 or visit Holburne Museum. 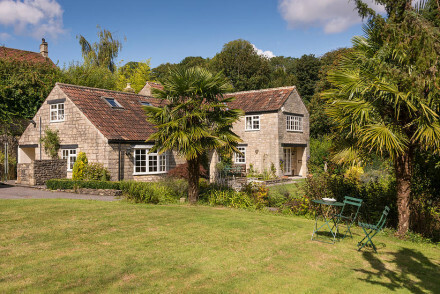 Hideaway - Just 15 minutes drive from the historic city of Bath yet tucked away in a rural corner. Great walks - Through the local village of Dunkerton or take an audio walking tour of Bath. Restrictions on children - Children are not permitted. Step back into Georgian Bath but in a hotel with all mod cons. Elegant listed house with high-ceilinged rooms and shuttered windows, sleigh beds, antique furniture and traditional bathrooms. An unbeatable breakfast. Classy choice for those seeking a touch of Georgian authenticity. 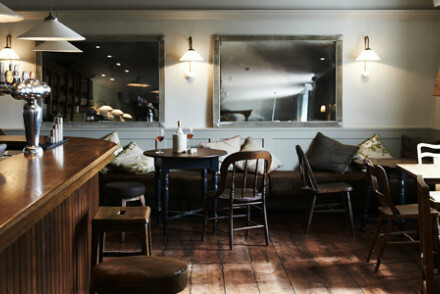 Country gastropub 10 minutes from historic Bath. Rustic chic interior, fresh locally sourced food, gardens. 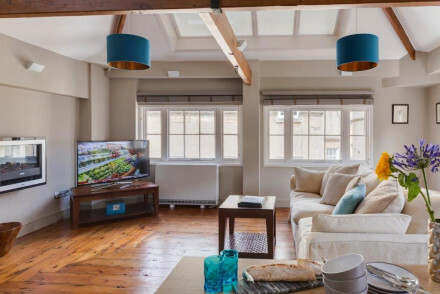 Funky informality and affordable style in these trendy apartments in the centre of Bath. A lively bar and large apartment suites - each with private lounge area and kitchen. Elegantly decorated and comfortable. A fun spot in the heart of the city with a chic town house feel. City Style - Town house apartments in the city centre with a popular bar - city break in style. 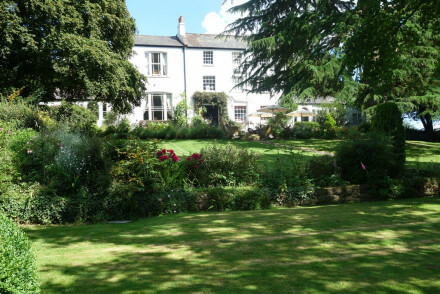 Family friendly B&B in Jacobean manor house in quiet rural surroundings with beautiful grounds. 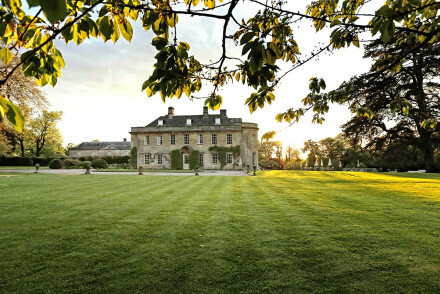 A good base for visiting Bath and the south Cotswolds, with lots of space for children. Suites - All suites feature Nespresso Coffee machines and Molton Brown smellies. Child friendly - Help feed the farm animals including micro pigs, horses and ponies. Sights nearby - Just 10 mins drive to the centre of Bath. A chic converted chapel adding yet another trendy contemporary space to this newly changing rural town. 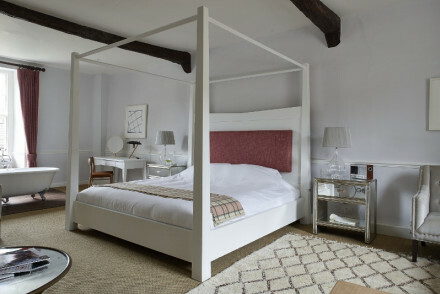 Rooms are clean and modern with crisp white linen, light wooden furniture and french doors leading onto terraces. Housing a fantastic cafe and bar this is a hotel well worth a stay. 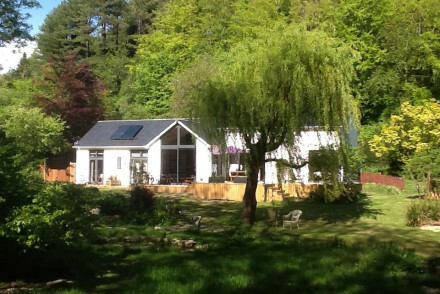 Country Escape - Located in a small rural town in a pretty part of Somerset. Great walks - Take long walks through the forest, parkland and gardens of Stourhead. Sights nearby - Visit King Alfred’s Tower situated within the Stourhead Estate. A beautifully renovated one-bedroom apartment set within an impressive Manor House just outside Bristol. Expect contemporary and modern styles throughout with modern art, white washed walls, bay windows and Chesterfield sofas. Enjoy access to the house pool, indulgent breakfasts and long walks. Country Escape - An immaculate one-bedroom apartment in a stately home in a glorious part of Somerset. Great walks - Head out on scenic walks through the Somerset countrside straight from the property. Sights nearby - Spend a day at Cheddar Gorge and explore the caves. 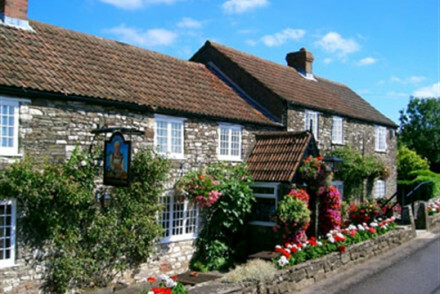 A boutique B&B of just four rooms in the pretty village of Corfe. Individually styled rooms perfectly mix contemporary and traditional styles with beamed ceilings, white-washed walls and luxurious bathrooms. Partake in one of the many rural pursuits available nearby or simply relax with a good book. Country Escape - A charming rural property surrounded by beautiful walking country. Fishing - Reservoir, costal and deep sea fishing are all on offer nearby. A stunning Georgian villa occupying a leafy spot just 20 minutes walk from the city centre. Traditionally dressed rooms feature carefully selected antiques, wonderful city views and contemporary bathrooms. The warm hosts, sumptuous breakfasts and general opulence makes this a special place. City Style - An elegant Georgian townhouse with easy access to the city centre. Great walks - Take a scenic stroll along the canal tow path to Sydney Gardens. Sights nearby - Take a tour of the beautiful and historic Roman Baths. An imposing town house surrounded by award winning oriental gardens and with stunning city views. Individually designed rooms and suites are opulent and traditional in style. Some feature four posters. An indulgent Full English is served for breakfast. Well located to explore the city. Very chic. 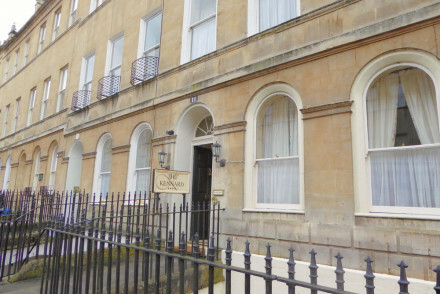 City Style - A glamorous property in the heart of the historical city of Bath. Sights nearby - Visit the famed Roman Bath complex. At its heart a superb dining establishment, The Pilgrims Restaurant also offers a selection of excellent rooms. A great choice for travellers keen on eating well and sleeping well. Foodies - The hotel's centrepiece is the restaurant, so this is definitely one for people who are keen to eat well. Sights nearby - Both Wells Cathedral and Sherborne Old Castle are worth a visit. Grand yet homely - run with love, and attention to detail on the eastern fringes of Bath. This charming guest house has twelve elegantly decorated bedroom with a warm, cosy feel. A fine breakfast are with large airy windows and views over Bath. Traditional - Furnished with antiques and fine paintings. Friendly boutique guesthouse housed in a Victorian complex at the heart of Bath. 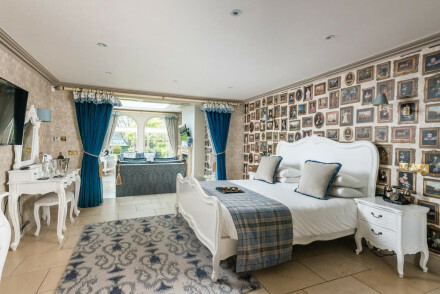 Vintage-style deco combined with lashings of creature comforts are the hallmark of this cosy haven within easy reach of the spa town’s main sights. 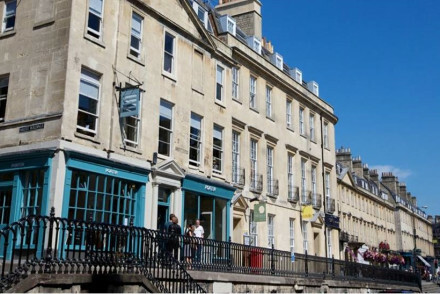 Sights nearby - Very close to the Royal Crescent and a short walk from the centre of town and all major attractions. An elegant Georgian manor turned hotel, on the edge of the city. Charming suites feature beautiful fabrics and original sash windows commanding spectacular views of the grounds. The award winning restaurant serves up delicious dishes straight from the Victorian walled garden. Total relaxation - Beautiful landscaped gardens, proximity to the thermal baths and giant soaking tubs will rejuvenate any guest. Traditional - Great paintings, objets d'art and belle epoque chandeliers. Great walks - Take a stroll around the beautifully landscaped gardens and walled Kitchen Garden, producing fresh produce for the restaurant. 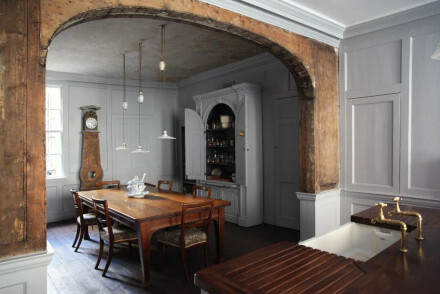 An elegant Regency house that's undergone a beautiful restoration. 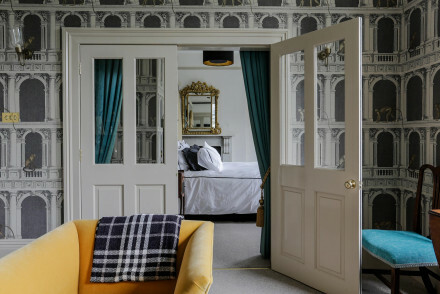 Housing just three individually designed rooms with intricately patterned wallpaper, antique furniture, open fireplaces and enormous sash windows boasting spectacular views over the city. 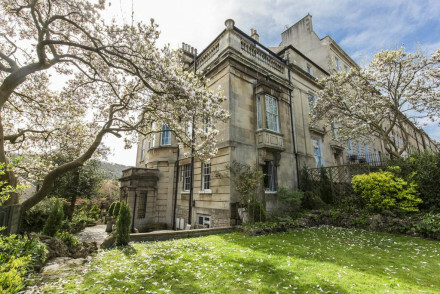 City Style - An elegant Grade 1 listed house in the centre of Bath. Sights nearby - Take a tour of the beautiful Roman Baths. Elegant, informal Georgian hotel near Roman Baths. Landscaped gardens, spa, beautiful rooms. Award winning restaurant. 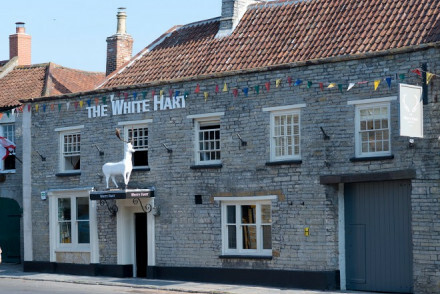 Stunningly located old coaching inn opposite Wells Cathedral. Opulent rooms mix tradition with contemporary. Gold embellished wallpaper, chintz fabrics and some have free standing copper baths. Contemporary British fare served in an oak paneled room. Ideal for exploring Wells and its surrounds. Romantic Break - Original four poster beds, log fires and views of Wells Cathedral combine to create this unique and utterly romantic getaway. Local exploring - Well situated to explore the small historical city and the beautiful surrounding countryside. Sights nearby - Visit the 13th century Wells Cathedral, this majestic sight is literally across the road. Local markets - Scour the bi-weekly farmers market, packed with the cream of the local produce. A smart B&B in central Bath with fantastic breakfasts and a very warm welcome. 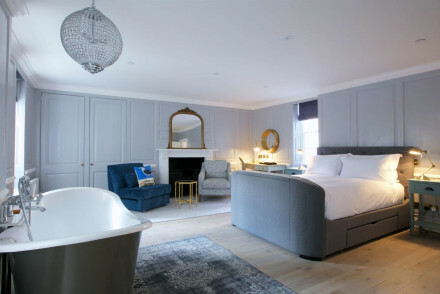 Individually designed rooms are traditional in style with softly patterned fabric draping the enormous sash windows, crisp white linen and simple contemporary furniture. The perfect base for a city break. Local exploring - Well located on one of Bath's quiet crescents but just a 10 minute walk into the city centre. Sights nearby - Take a tour of the famed Roman Baths. 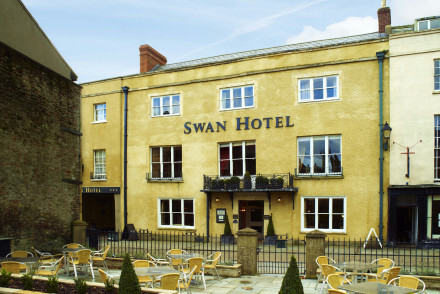 Swain House is located in the seaside town of Watchet, on the coast of Somerset. Set in a Victorian townhouse, it boasts chic boutique accommodation - featuring large National Gallery murals and king-sized beds. Tuck into full English breakfasts each morning. A delightful B&B stay! 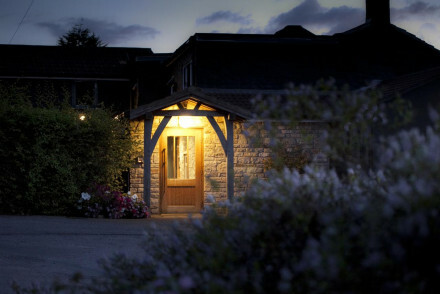 Grove Lodge is, simply put, one of Bath’s best kept secrets. This luxury, adult-friendly B&B combines an old-world charm with stylish modern interiors, and a friendly yet high-level, discreet service. A great base from which to explore this historical city or simply enjoy a weekend escape. Sights nearby - Pulteney Bridge, The Roman Baths and Bath Abbey are absolute must-visits! An elegant Georgian property converted into a luxury B&B. Individually styled rooms keep their original features yet have a light contemporary feel. Indulgent breakfasts are served and a quiet terrace offers stunning views across the award winning gardens that lie behind the property. 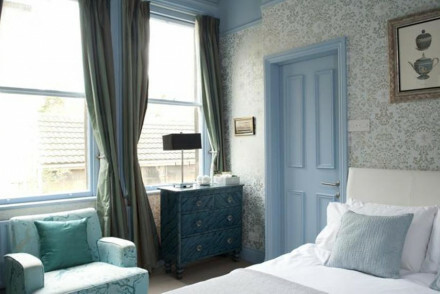 City Style - An elegant B&B, with contemporary interiors and splendid garden views in the historic city of Bath. Great walks - Get out of town and enjoy walks in the Somerset countryside. Sights nearby - Visit the city's 18th Century Roman Baths and Abbey. 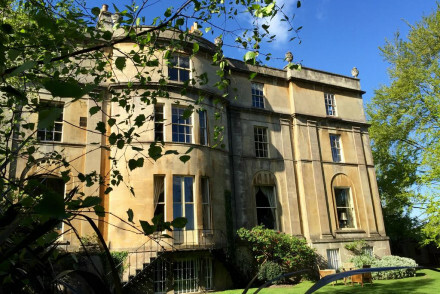 Berdoulat & Breakfast is set in a wonderfully historic building right in the heart of Bath. Offering spacious, individually designed rooms furnished in an elegant manner. Tuck into Turkish breakfasts each morning for something a little different! A cute city hideaway in a superb location. 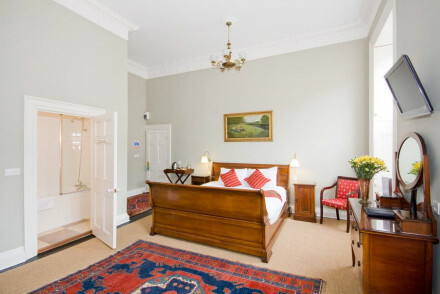 The recently renovated No 15 Great Pulteney offers elegant, individually designed rooms in central Bath. An eclectic range of artworks adorn the walls and vintage furnishings help give the place an old-time feel. Each room also boasts city or garden views. A classy and suave city spot! Foodies - The Dispensary restaurant serves wonderful meals and you can also order sandwiches to be brought to you in the sitting room! A stately Georgian manor house set in 70 acres of unspoilt countryside. Carefully designed throughout, the original features remain intact with contemporary bathrooms, bold prints and bright colours standing in cunning contrast. Just 10 minutes from the city centre but the feel is completely rural. 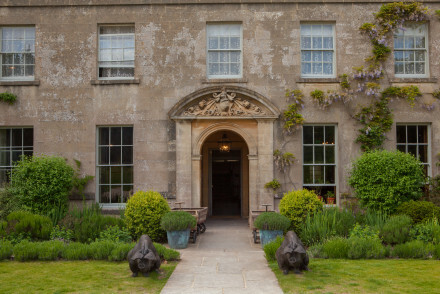 Country Escape - A chic country house on the outskirts of Bath. Great walks - Take long walks through the property's 70 acres of wooded grounds. Sights nearby - Head into Bath to visit its most famed site, the Roman Baths. Local markets - Check out the local artisan food producers, Pitney Farm Shop, Brown & Forrest Smokery and the Somerset Distillery. Great walks - The seven acres of stunning parkland make for easy pretty walking. Birdwatching - Search for grey herons in the wetlands of the Somerset Levels. 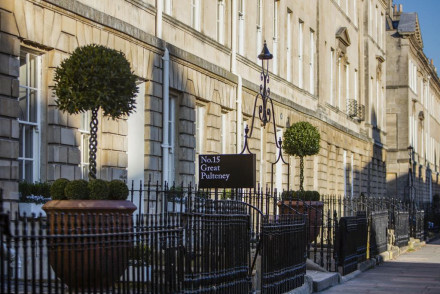 Five star luxury hotel situated in the classical splendour of Bath's Royal Crescent, with The Spa at the Royal Crescent and Dower House Restaurant - ideal for exploring the World Heritage Site on your doorstep.